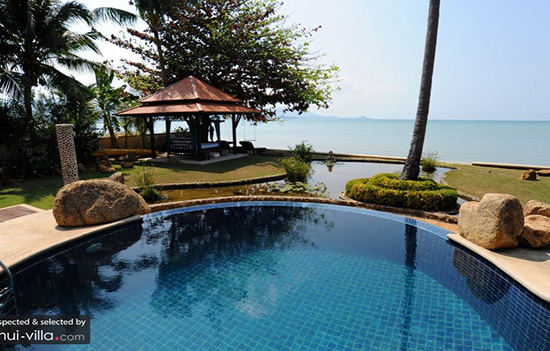 Mention Samui, and vistas of emerald greenery, turquoise oceans and swathes of golden, sandy coasts come to mind. 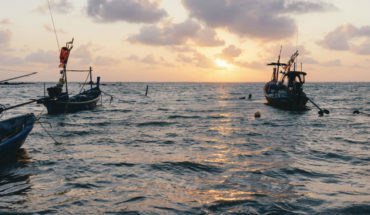 Samui’s scenic beauty wields a strong attraction over hordes of travellers who venture to her shores for a well-deserved tropical vacation. 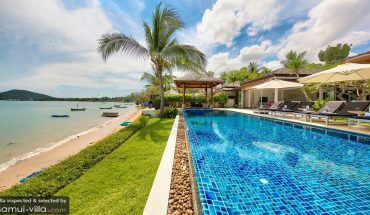 Set along the shores of a pristine, white sand beach, Angthong Villa provides guests with sweeping vistas of Samui’s scenic coastlines and lush tropical greenery. 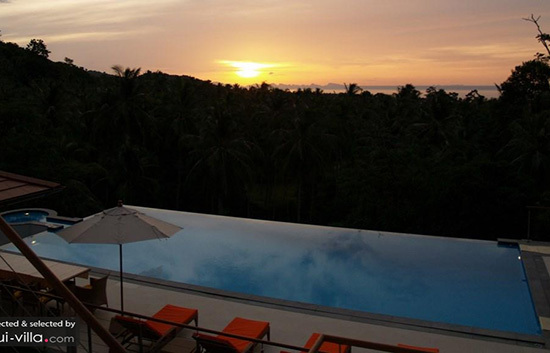 With views like these, it is befitting that the villa is built to maximise outdoor living. Happy holidaymakers will have plenty of options to lounge about outdoors – soak up the sun and the sea breeze by lazing atop the pillowy couches of the day bed, settle down snugly in the beachfront sala, take a dip in the sparkling pool or enjoy an indulgent spa treatment in the massage sala. When the view before your eyes includes a gorgeous coastline, verdant gardens and the picturesque Angthong National Marine Park, you can be well assured that you are in for a breathtaking sight. Hilltop Villa 5 makes the best out of its stunning surroundings, for its interiors contain floor to ceiling window panes that draw the eyes out to gaze out to the yonder. With such picturesque settings, alfresco dining is an obvious choice. During the cool evenings, make your way to the terrace to dine on an array of delectable dishes, with the surrounding scenery as a mesmerising backdrop. 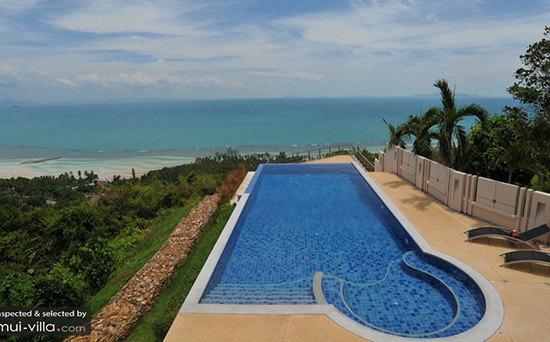 Regardless of whether you prefer breathtaking vistas of Samui’s western coastline, or sweeping views of lush greenery, you will not be disappointed at Villa Akira. Perched atop the majestic hills of Laem Yai, the villa overlooks sandy shores and turquoise waters on one side, and an expanse of dense forestry on the other. With a plethora of snug and cosy spots to enjoy the surrounding scenery, it may be hard for guests to arrive at a decision. Will it be the glistening infinity pool, spacious sun deck, commodious dining area or the homely bedrooms? 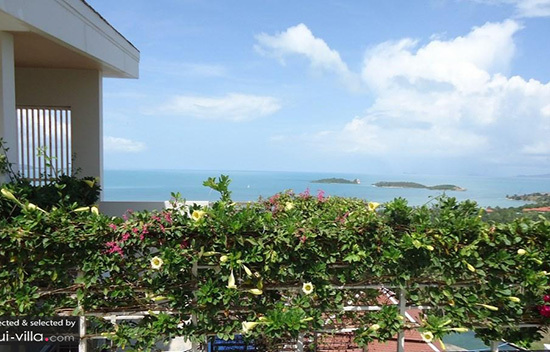 Look out into the yonder from the compounds of lovely Villa Blue Samui, and you will be treated to the sight of lush greenery and rugged coastlines. 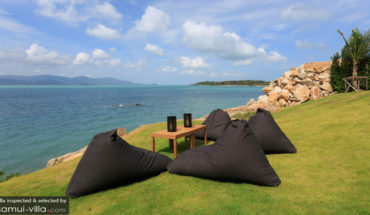 Nestled away in the northwest region of Samui, the villa offers guests with a peaceful retreat away from the frenzied bustle of crowded tourist spots. Towering palms reach their leafy branches to brush against the breezy verandah and window panes, while the infinity pool, sun deck and outdoor sala serve as excellent vantage points to enjoy unobstructed panoramas of the sea. 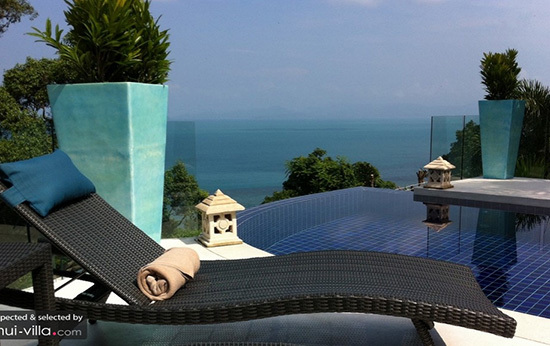 Forget your cares and concerns at Villa Blue Samui, and spend your days well by sunbathing outdoors, lolling about on the cushiony seats in the salas and taking sips of sundowners while awaiting the magical moment of sunset. Travellers with a taste for enchanting views of lush, tropical greenery are likely to find themselves captivated by the charms of Villa Lulu. Sitting pertly by the hillside, the villa is a tranquil sanctuary surrounded by natural beauty. Gaze out from the spotless window panes, infinity pool, sun deck and outdoor balconies, and you will set sight upon an emerald landscape of dense tropical forestry. Take care not to waste a single minute of your well-deserved vacation – maximise the time that you spend outdoors, get plenty of fresh air and soak up the sights of the surrounding scenery.